﻿ Sheffield Digital – The association for the people and businesses of Sheffield's digital industries. 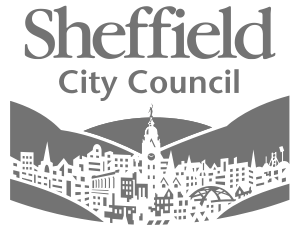 The association for the people and businesses of Sheffield's digital industries. We talk to the founder of The Developer Academy about its blended approach to learning how to code. Announcing: Sheffield’s first ever Digital Festival! You’ve heard us talking about it on the podcast. Now we’re excited to announce some details and ways for you to get involved. The team behind agile Sheffield tell us how they’ve grown their meetup community. Sheffield Digital company members can get 25% off a stand at one of the biggest digital expos in the North of England. We speak to Artistic Director at Site Gallery about moving to Sheffield and digital's relationship with the arts. We speak to Head of Service Design at Good Things Foundation about his career so far and brand new venture. OpportunitiesFunding, speaking and other opportunities. UTC Olympic Legacy Park has successful robotics teams that need vital sponsorship to help them compete on a national and (potentially) world stage. Sheffield Star launches its first Digital Awards – the deadline for nominations is 22 March with the ceremony to take place on 2 May.